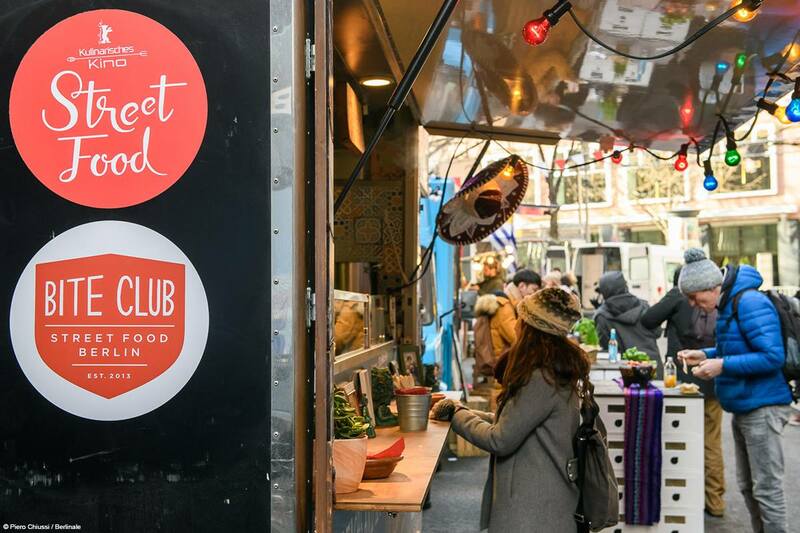 Together with the food trucks by Bite Club, Berlinale Kulinarisches Kino is once again serves festival visitors with international delicacies at our Berlinale Street Food Market just around the corner from the heart of the festival at Berlinale Palast. This year you can look forward to our all-time favourite Heisser Hobel and their Allgäuer Spätzle, juicy burgers with fresh and local ingredients courtesy of Bunsmobile, Mexican feel-good-food by Eddielicious and Fräulein Kimchi’s Korean fusion kitchen. The new kid on the block is Zerostress Pizza, offering the great classics as well as vegan pizza.